Sweet Violet Viola odorata is the only fragrant violet species found in Britain and Ireland. 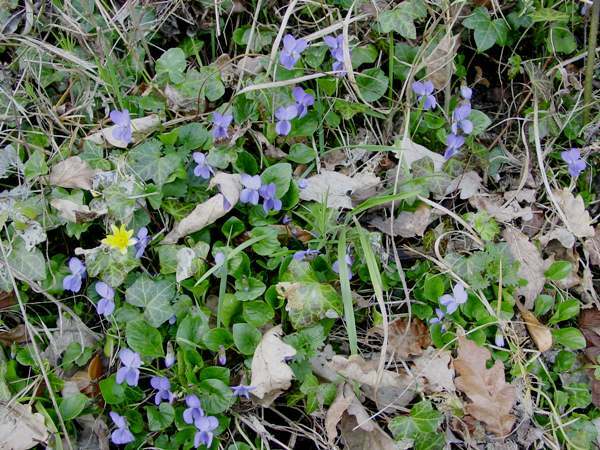 Viola odorata usually has blue-violet flowers or white flowers, but occasionally pink and even yellow forms occur. The sweet scent is therefore usually the best clue to its identification. The flowers are 10 to 18mm across; the leaves are heart shaped and finely downy; and the the stems form long rooting runners, which are the main way in which these plants spread. 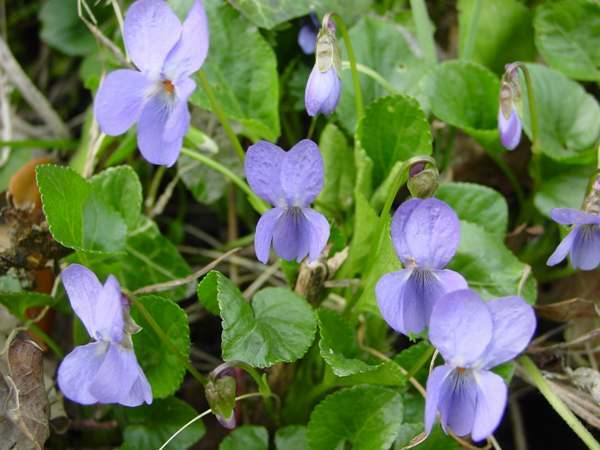 Sweet Violets grow in woods and on shaded banks under hedges; occasionally they can be found in scrubby waste land too. 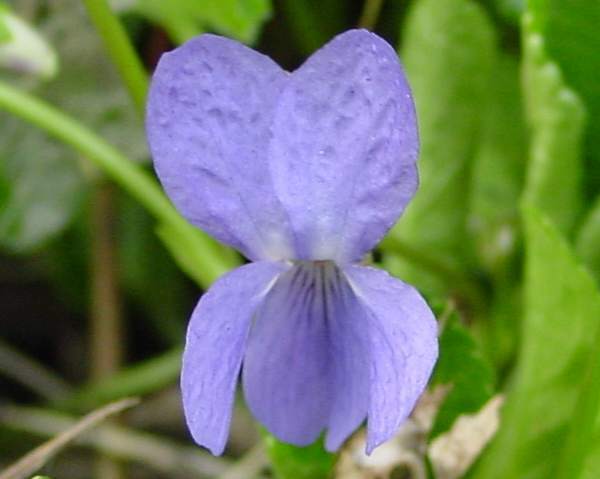 In Britain and Ireland, Sweet Violets produce flowers from February to May. The specific epithet odorata means 'with an odour', of course. The photographs shown on this page were taken in Wales in February and March.